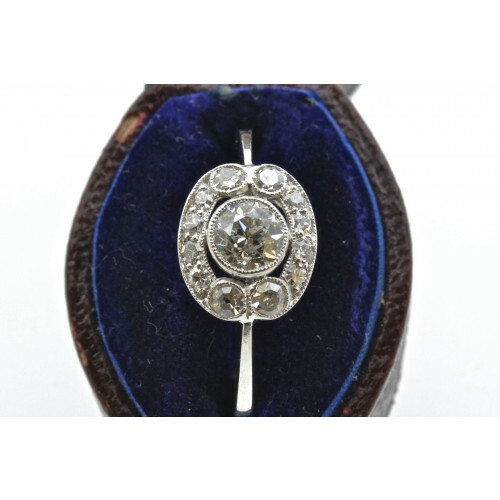 Platinum set antique diamond cluster ring, having a centre stone in a rub-over mount weighing 40 points, G/H colour, SI clarity. 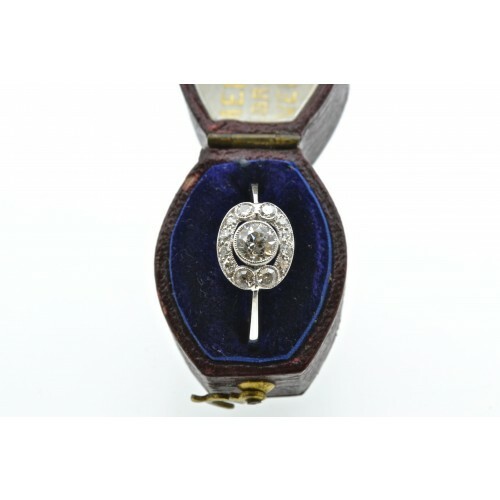 The centre diamond is surrounded by a total of twelve diamonds, two larger stones on each side, weighing 32 points in total. 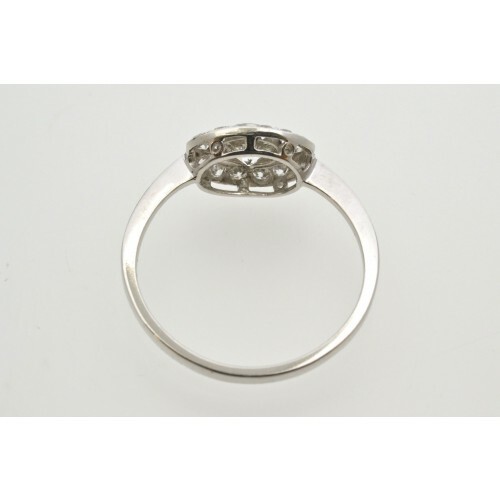 In a beautiful pierced setting having a milligrain surround. 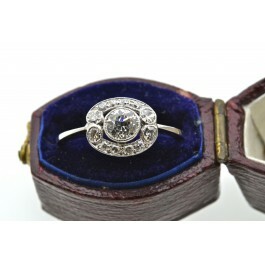 This elegant ring dates back to the early 1900's.